I thought I'd take this opportunity to drop in here to say hi again... Obviously it has been a while, and I apologize for that... But good things take time; and believe it or not, this time, I have some cool things to share with you guys. Here is one more shot that I have to add of Trevor, along with our girl Lucy... Mommy and Daddy's two babies! 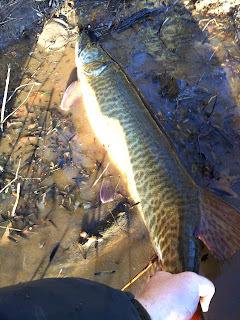 Moving on, since this is a fishing blog, I guess I should get on to some outdoor oriented postings, haha! But before we start talking fishing, I need to take a little time to brag on my nephews a little bit... 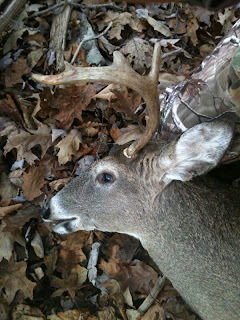 I am sure that most of you know it is currently deer season here in PA--as many of you, no doubt, have been spending much of your free time in the woods lately, hoping to bag a nice whitetail buck. 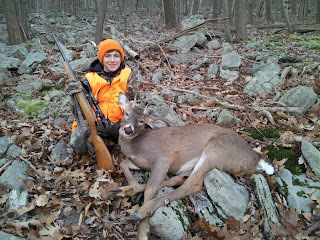 So, considering the season, I have to post a couple pics of my nephews Bailey and Gabe, who both got bucks this year. 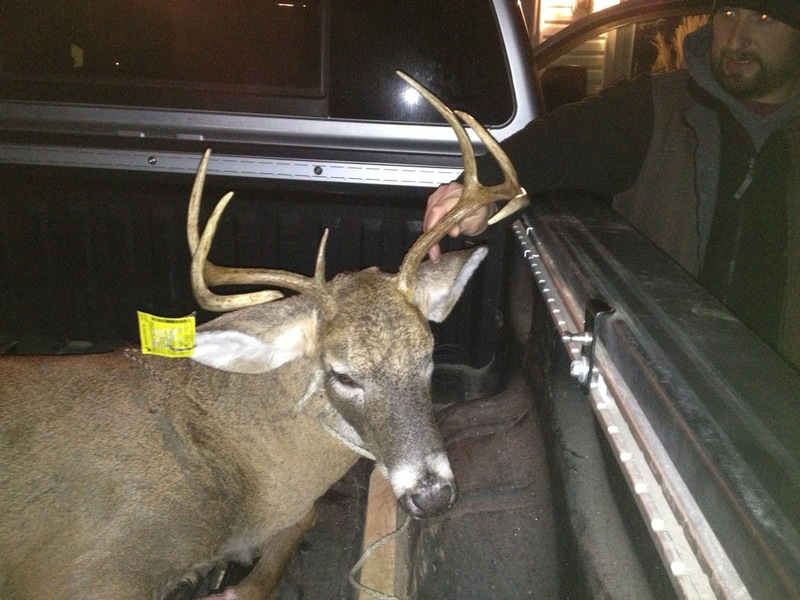 Bailey shot his first buck, a nice six pointer; and Gabe got his second buck, a very healthy looking spike. 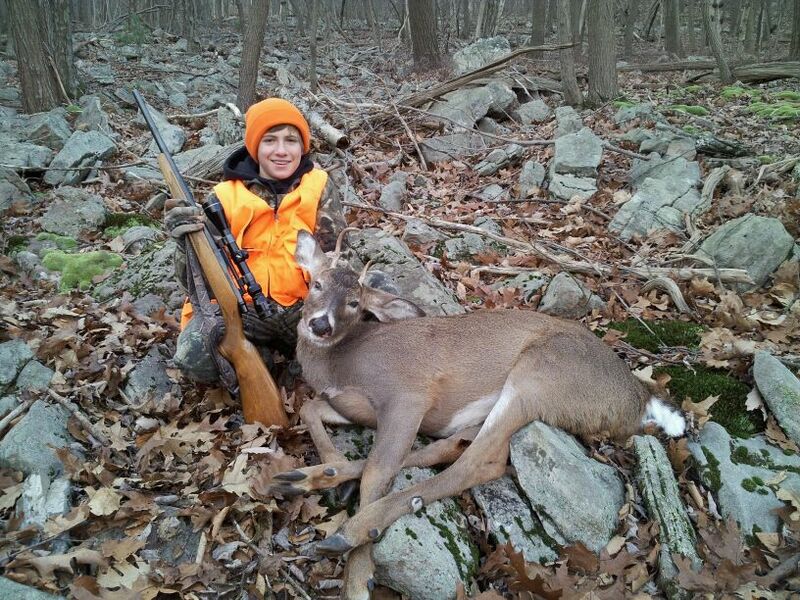 Both boys also shot antler-less deer back in early muzzleloader season, needless to say the freezers will be full of venison this year in the Coder house hold. Congrats men! 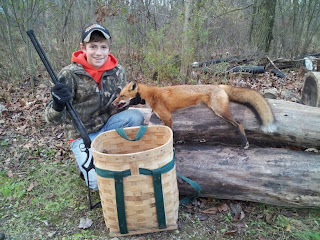 I also have to post a pic of Gabe with his first red fox that he caught this year trapping... 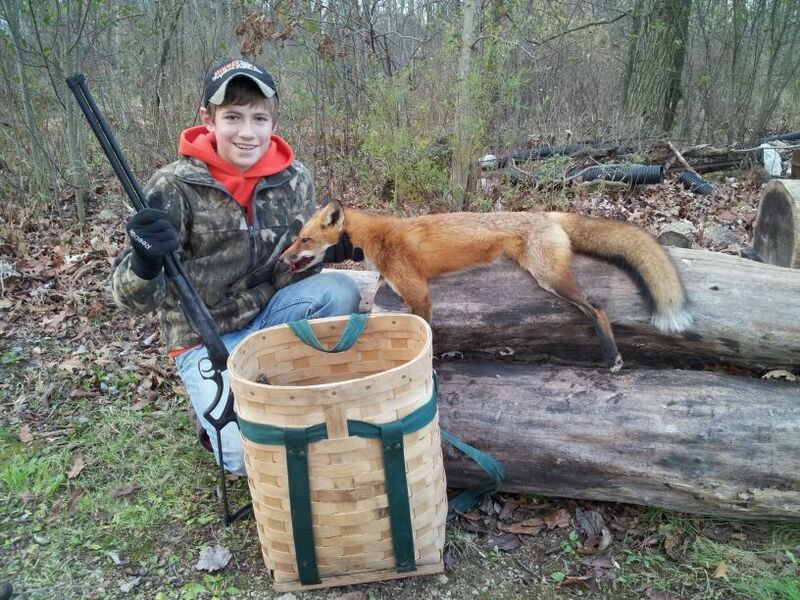 I am not a trapper personally, but I know how much effort Gabe (and his Dad) have put into catching this fox--a real accomplishment. Definitely proof that hard work and dedication always pays off. 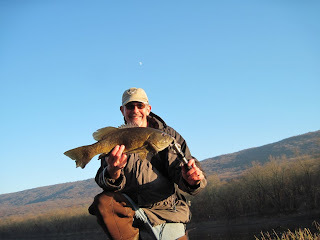 Ok... Moving on to some fishing--finally!! 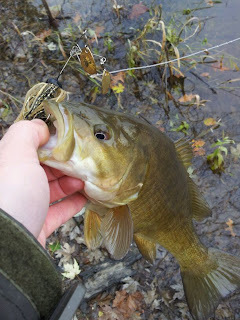 Personally, I haven't spent a lot of time on the water the past couple months but I do have some reports to share with you. Currently our waters here in central PA are very LOW, considering the season. Also to make things worse, it has been getting pretty darn cold as well--not a great recipe in my book. 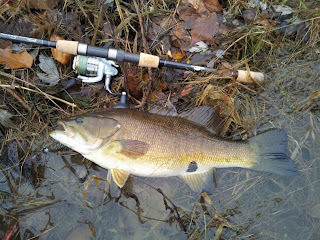 Still, we have been able to put some fish on the bank this season. It definitely pays to have a full repertoire of spots that fish well at different water levels... 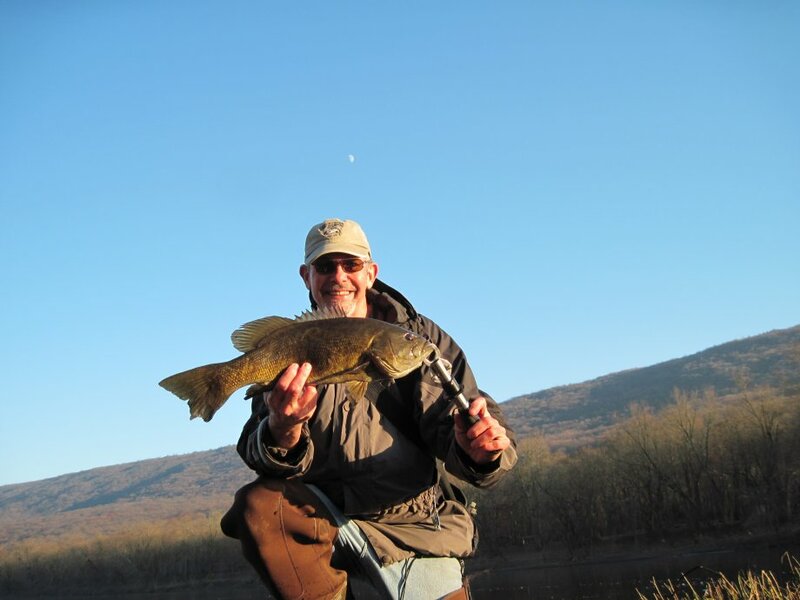 Most of our high, cold-water spots have been barren. 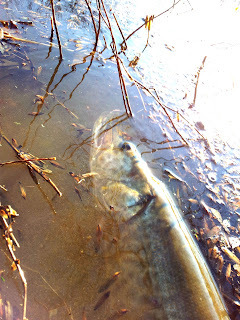 The clear, shallow water, has the fish holed up in deepest spots and the bite can be tough. Right now, it would pay to have a nice jet boat to access those hard to reach areas. Anyway... my dad has been plugging away at a slow pick of some very nice smallmouth so far this fall. 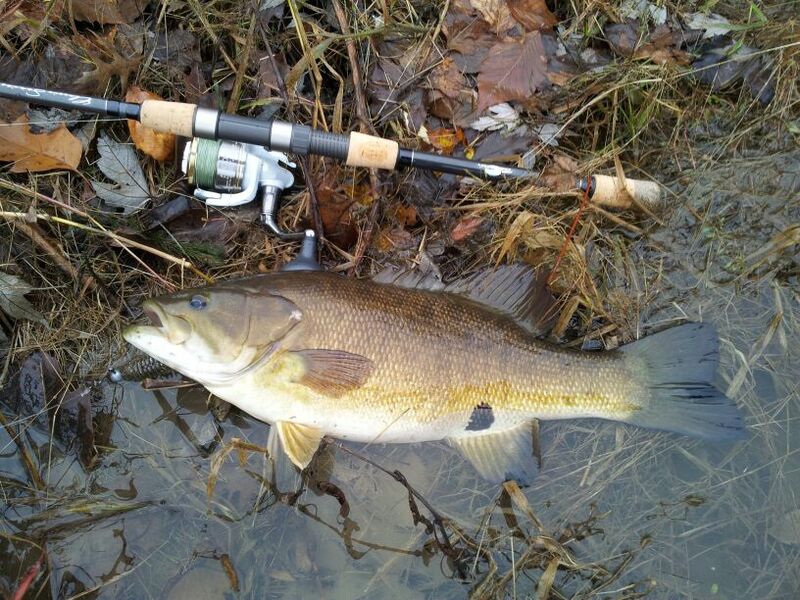 It seems like just about every trip he manages to hook up with at least one trophy bass. 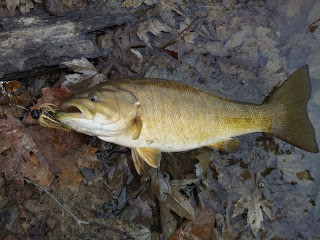 Likewise, the text message inbox on my phone has been filling with quite a few pics of some beautiful smallmouths. 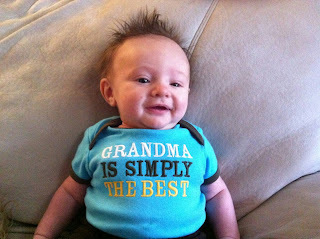 He is a machine! 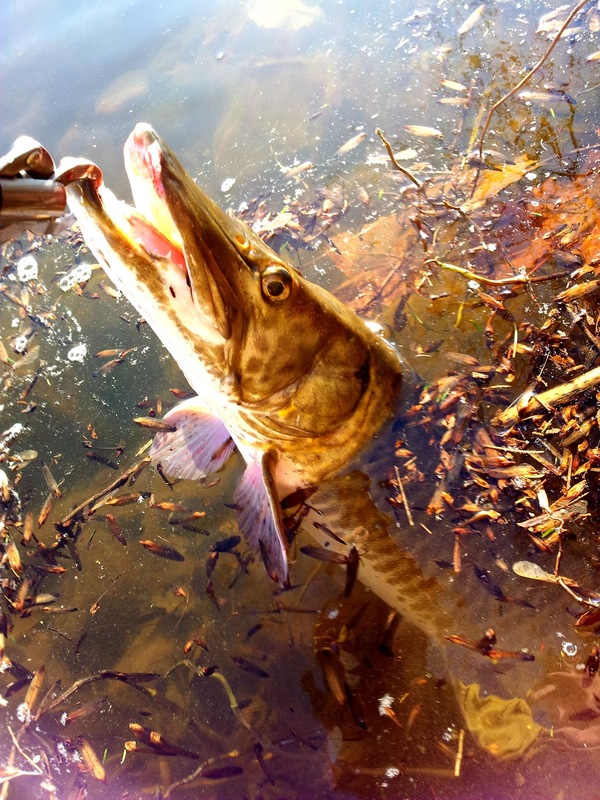 Personally, I've spent the majority of my free time (which hasn't been much) targeting muskies... 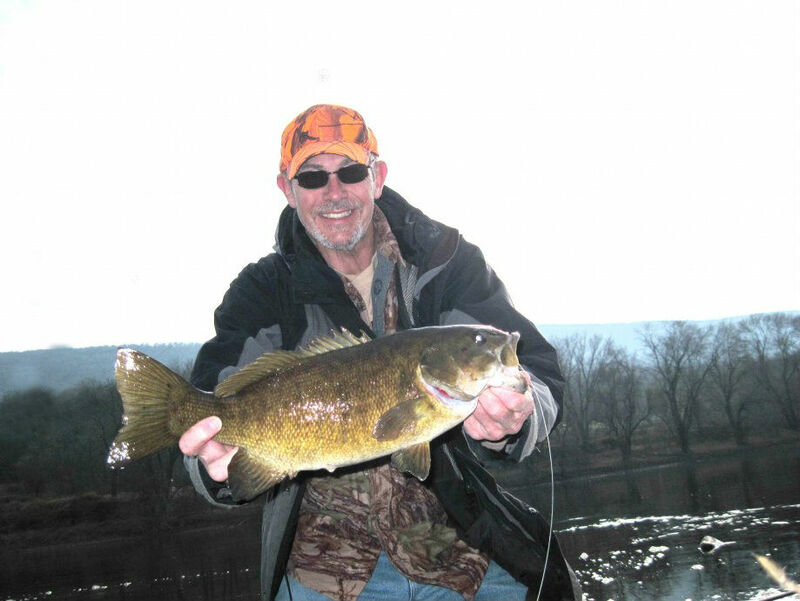 So far, the pickings have been slim, but I have managed a couple beautiful smallies on muskie lures, as well as a surprise northern pike, which we don't see enough of on the Susquehanna, in my opinion. 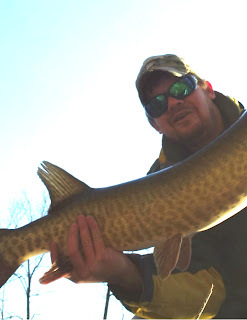 Finally, just this past week, I did manage a nice 37 inch muskie--the first I've landed in quite a while, and the perfect cure to a long string of missed opportunites. Serisously, I think I lost the last 6 or 7 muskies I hooked before landing this one, lol. A long time coming! haha... :) The only problem is that I need to hire a new cameraman, as my self-shot photos of this fish were just terrible! But I guess it is just an honest tribute to how hectic, our very short encounters with these toothy fish actually are. In closing, I'd like to thank all of you guys and gals for stopping by my site periodically... Hopefully it won't be so long until I have an update for you in the future. I hope you enjoy the pics, and I wish you all the best of luck out there in the woods and on the water this coming season! Who knows, maybe I will see you out there. Good to see you're back at it Tob! Cute kid, and nice pike. Andy! Hey, thanks buddy... Definitely been nice to spend some time on the water lately. 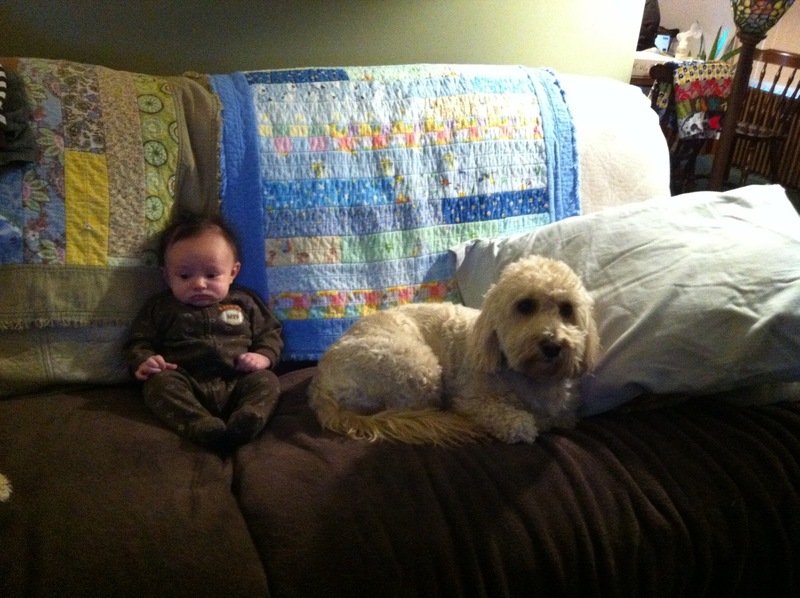 Can't wait til I can get that little guy out there with me! Thanks for the note... Hopefully see you sometime soon! Congrats on the new fishing partner!!! 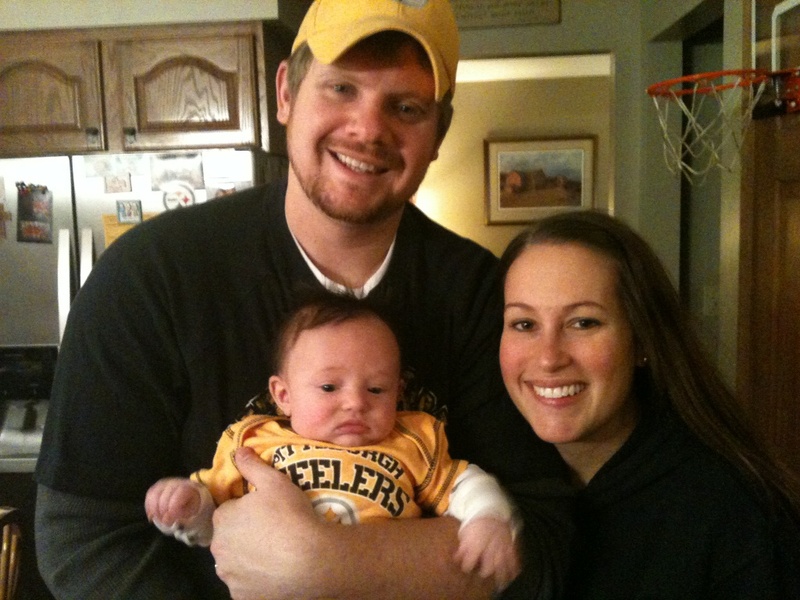 Glad to see you're back in the saddle- it takes awhile with a new addition in the family. 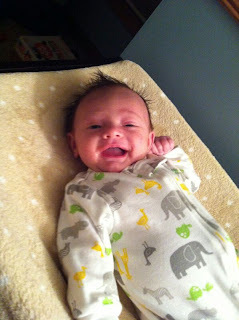 One of these days I may have to talk to you about placing an order for his first custom musky plug. Hope you guys are doing well. BTW, congrats again on that huge whitetail! What a beast!